Those that grew up in a world of upright arcade machines will be all too familiar with Gauntlet. The top-down action game let four players crowd around a single screen, each controlling a character class and trying to beat back endless swarms of ghosts, grunts, demons and thieves. Along the way you'd pick up keys to open doors, food and potions to stay alive, and treasure for points. It was a quarter muncher for sure, especially when you throw in four players trying their best not to die. All four character classes are making a comeback in the new Gauntlet. The classic set-up gives the Warrior the best hand to hand attacks, the Wizard the best magic, the Valkyrie the best defense, and the Elf the speediest movement speed. The reboot will lean a bit more towards an RPG than the original, though no word on which features will be added to give the game extra staying power. Arrowhead has stated multiple times that they're being very careful about preserving the original feel of Gauntlet while updating it for a "new generation of heroes". 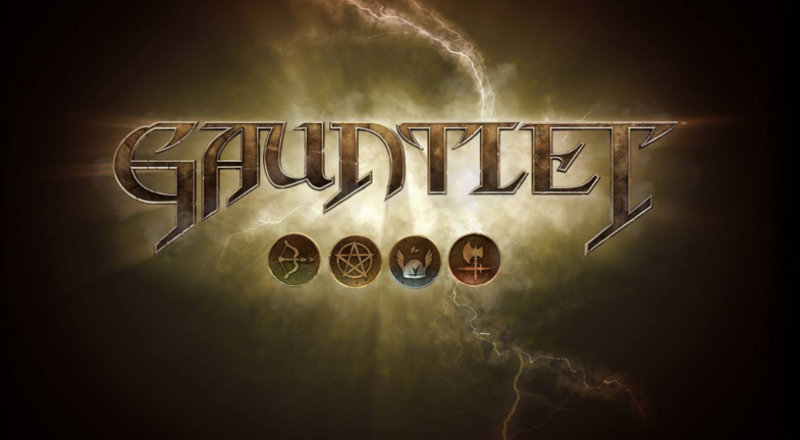 The new Gauntlet game is scheduled for release this summer. Until then, scratch your Gauntlet itch with the extremely satisfying co-op indie game Hammerwatch. Seriously, do that.